NEGLECTED INFECTIOUS DISEASES STRATEGY OVERVIEW OUR MISSION Guided by the belief that every life has equal value, the Bill & Melinda Gates Foundation works to help all people lead healthy, productive lives. Our Global Health Program is dedicated to this mission by helping to ensure that lifesaving advances reach those who need them most. We focus on problems that have a major impact on the poor in the developing world but get too little attention and funding. Where proven tools exist, we support sustainable ways to improve their delivery. Where they don’t, we invest in research and development of new interventions, such as vaccines, drugs, and diagnostics. Our financial resources, while significant, represent a very small fraction of the overall funding needed to improve global health on a large scale. We therefore advocate for policies and financial resources to promote greater access to health solutions. Strong partnerships are also essential to our success in making a difference and saving lives. 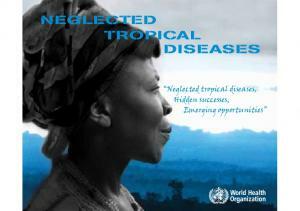 the control, elimination, and even eradication of neglected diseases. For example, Guinea worm is approaching eradication—in 2011, there were just 1,060 reported cases remaining, an historic low.1 Since 2000, 2.7 billion treatments for lymphatic filariasis have been delivered, which has led to the elimination of its transmission and infection in several countries.2 Onchocerciasis (river blindness) has now been successfully eliminated in Colombia, and in some parts of Africa.3 However, even with these successes and increased attention, more than 1 billion people suffer from one or more neglected diseases.4 People living in remote areas with limited access to effective health care and basic public health measures are most vulnerable. The consequences of neglected infectious diseases include malnutrition, anemia, serious or permanent disability (including blindness), illness, and death. Some neglected diseases are controllable and possibly eradicable with the continued use of safe and effective drugs or other tools, but these are often not delivered or are delivered too late to those in need. For many of these diseases, effective tools such as vaccines, diagnostics, drugs, vector control, and other measures to control the spread of infection are lacking or extremely inadequate. control that could address multiple diseases simultaneously. For a subset of three diseases, many effective tools and treatments are available and there are several outstanding organizations in place that are set to lead efforts to control, eliminate, or eradicate them. We are in the process of making our last investments in these areas so that these organizations can lead these efforts for the long term. Lastly, there is a subset of six neglected diseases where we believe there may be opportunities to significantly reduce the disease burden but where there are knowledge gaps. In addition to investments we have already made in some of these diseases, we are investing in a learning agenda to improve our understanding of the burden and mechanisms of these diseases and exploring what tools or interventions may be needed for their control that are aligned with our strategic capabilities. Eradication is possible through public health interventions, early identification of cases, preventing contamination of water supplies by infected patients, and provision of clean water or water filtration. A single-dose, low-cost vaccine is now available; uptake by developing countries in Asia is increasing. However, there is a need to address cost, and financing barriers to drive uptake of vaccine in GAVIeligible countries. Mass preventive-drug administration is effective, but many areas of transmission are difficult to reach, and programs need to be sustained for the lifetime of the adult worm (5–7 years). Bed nets can be used for prevention in some settings. Areas co-endemic for Loa loa cannot be treated with current drugs. Mass preventive-drug administration is effective. Many affected people are difficult to reach or Loa loa areas cannot be safely treated with current drugs. Programs need to be sustained for the lifetime of the adult worm (12–17 years), which is a significant challenge. Vaccines are widely available in wealthy nations but largely unused in developing countries, where the vast majority of women are never screened for cervical cancer. Widespread treatments are long in duration, difficult to administer, expensive, have significant side effects or are losing efficacy against this increasingly resistant disease. New regimens offer hope of shorter duration with good efficacy. New tools have been developed to enable sustained highlevel control or eradication of T.b. gambiense sub-species. Treatments are toxic, difficult, and complex to administer. Diagnostics are difficult to use; vector control can be effective if fully implemented. Drug treatment is available, but is challenging to deliver as reinfection occurs quickly. Prevention involves clean water, sanitation, and hygiene measures. A vaccine is in early stage of development. No antiviral treatment is available. Vector control deployed in response to an outbreak is costly and often too late to have a significant impact. Effective prevention, with preemptive vector control or a vaccine can transform this field. New vector control options offer new hope. INTERVENTION AREAS Discover, develop, deliver, and advocate for tools and strategies to address our strategic program initiatives National control programs in the developing world have made remarkable headway in reducing many neglected diseases. These programs have administered drugs to millions of people as well as delivered targeted vector control interventions. However, some neglected diseases lack the necessary tools to reach the goal of control or elimination, and therefore require new tools and improved strategies. Our approach is to support a pipeline of new drugs, vaccines, diagnostics, vector control tools, and program approaches best suited to each disease. Our strategic approach for each disease is highlighted below. Guinea worm Thanks to the dedicated efforts and leadership of The Carter Center, country governments, the World Health Organization (WHO), and donors, Guinea worm is on the cusp of being the second disease in human history to be eradicated. The Carter Center has provided millions of people with water filters to enable them to drink water that is safe from Guinea worm. In 1986, there were an estimated 3.5 million cases across 20 nations in Africa and Asia. Since then, worldwide cases have been reduced by 99.7 percent.5 To help eliminate the remaining cases and ensure eventual eradication, we are supporting The Carter Center to sustain eradication efforts through to certification, identify and address any program weaknesses, and advocate for sustained commitment of political will and resources until eradication is achieved. Japanese encephalitis virus Eradication of Japanese encephalitis (JE) is not feasible because the JE virus is deeply embedded in the ecosystem (pigs and birds are the primary reservoirs). However, vaccination is a highly effective strategy to reduce the disease burden. This has been demonstrated in wealthier Asian countries where mass JE vaccination has been in place for years. The use of a low-cost, effective vaccine in endemic areas is the best way to achieve high-level control of JE. Fortunately, there is a new, low-cost vaccine available. We are now investing in efforts to ensure that the vaccine can be World Health Organization prequalified and that GAVI is able to effectively deliver the vaccine to all those who need it. Lymphatic filariasis and Onchocerciasis The spread of lymphatic filariasis has been greatly reduced by the efforts of the Global Alliance to Eliminate Lymphatic Filariasis, which aims to eliminate the disease by 2020 by protecting the entire at-risk population. Their strategy involves primary prevention of new cases through the annual delivery of two donated drugs (ivermectin from Merck or diethylcarbamazine from Eisai and albendazole from GlaxoSmithKline) to all individuals at risk. Much progress has also been made in fighting onchocerciasis, or river blindness, through the control of the black fly and treatment with an annual dose of ivermectin. The African Programme for Onchocerciasis Control (APOC) at WHO and the Carter Center’s Onchocerciasis Elimination Program of the Americas (OEPA) have distributed ivermectin to millions of people. Since OEPA began in 2003, six endemic countries in the Americas have maintained at least 85 percent treatment coverage, which must be sustained to halt transmission. Colombia and Ecuador (pending confirmation) have become the first countries in the world to halt onchocerciasis. Mexico and Guatemala are close to making similar announcements.3 Though the drugs used to treat both diseases can effectively eliminate the worm’s larval stages, the adult worms are unaffected and live for many years, within months producing new larva that can transmit disease. In the absence of drugs that can eliminate the adult worms, efforts to control transmission require annual or twice annual drug treatment. Another challenge is the inability to use the existing drugs to treat either disease in areas co-endemic for Loa loa (eye worm). The risk of adverse events associated with existing drugs in Loa loa infected individuals outweighs the benefit of community-level treatment for lymphatic filariasis or onchocerciasis. Our strategic approach is therefore the same for both diseases—focus on eliminating the disease where possible while developing new tools and approaches to enable eradication. We are investing in strategies to eliminate the diseases in difficult areas by deploying effective vector control tools. We are also investing in the development of a macrofilaricide that would target the adult worms for both onchocerciasis and lymphatic filariasis and that could be safely used in Loa loa areas. Lastly, we are also investing in testing different delivery approaches of currently available tools, such as alternate dosages of existing drugs and vector control approaches, to optimize their effectiveness. Human papillomavirus Cervical cancer, caused by persistent HPV infection, is the most common women’s cancer in many developing countries. However, fewer than 5 percent of women have access to cervical cancer screening even once in a lifetime. Affordable screening methods are available, and if detected at an early stage, curative treatment is relatively inexpensive using liquid nitrogen. Screening and treatment just once in a lifetime would reduce the incidence of cervical cancer by 25–36 percent6,7 and would produce a net savings to health services.6 There are currently two vaccines available that are highly effective against the major cancer-causing strains of HPV. These vaccines have been shown to be effective when administered to school-age girls in developing countries. eradicate this disease. Current treatments can be toxic, are difficult to deliver, lengthy to administer, and costly. Additionally, the long, relatively asymptomatic first stage of HAT requires an exhaustive, labor-intensive, and costly active screening of the population at risk to identify patients at an early stage and reduce transmission. As a result, as many as 50 percent of cases go undetected and many infected individuals may die before they can ever be diagnosed and treated. Our strategy is therefore focused on achieving sufficient coverage of HPV vaccines and catalyzing screening programs in low-resource environments. In the area of screening, we are investing in evaluating the effectiveness of different delivery models. In the area of vaccination, we are funding efforts to assure the availability of a sufficiently low-cost vaccine to enable uptake among GAVI and lowerincome, non-GAVI-eligible countries. We are making investments to improve the screening and treatment of HAT. We are supporting the Foundation for Innovative New Diagnostics to research and develop novel rapid-diagnostic tests for HAT. We are also supporting the Drugs for Neglected Diseases initiative to undertake clinical development of fexinidazole, an antiprotozoal compound that could be taken orally and could allow for a much simpler treatment schedule than what is used today. Improved vector control, with devices that target the tsetse fly vector, have shown promise and are entering Phase III trials. We are also investing in efforts to determine how other new tools would fit into the eradication of HAT. Though the WHO has targeted visceral leishmaniasis (VL) for elimination, current tools are inadequate to achieve this goal. Though new regimens offer hope of short duration with good efficacy, treatments that are currently widely used for VL are long in duration, difficult to administer, expensive, have significant side effects, and are losing efficacy against this increasingly resistant disease. Vector control, though effective when delivered, relies on onerous and expensive indoor residual spray with DDT. There are also a number of knowledge gaps that prevent highlevel control of VL, which include a poor understanding of the role of VL-infected, asymptomatic individuals in disease transmission; the biology underlying latency; and the parasite’s ability to persist after treatment and cure of clinical disease. The most effective prevention method for controlling chronic hookworm infection includes both proper sanitation management efforts and educational campaigns on the use of latrines, but this is expensive and unrealistic for the short term. Two primary drugs are available to treat active hookworm infection—albendazole and mebendazole—but reinfection remains a problem and resistance an emerging threat to programs. The WHO recommends deworming at-risk school-age children. However, children usually become reinfected within a few months after the process. sporadically, although the virus circulates widely in the human population. Most dengue infections are mild or even asymptomatic; it is only when transmission is intense that symptoms appear and are recognized. National dengue control efforts often occur in response to outbreaks, but have limited impact. Moving to a preventive, pre-emptive approach can reduce the burden of disease in dengue. New tools are urgently needed, specifically new vector control tools and effective vaccines. Several potential dengue vaccines are in development with at least one candidate nearing the completion of clinical trials. We are supporting work to effectively deploy a safe, effective, and affordable vaccine if and when available for people living in dengueendemic countries and new methods to detect or predict dengue outbreaks early enough to implement preventive measures. The Dengue Vaccine Initiative is working with manufacturers who have vaccine candidates in development and is supporting countries in making plans for the best use of vaccine in disease prevention. We are supporting several organizations to develop novel vector-control interventions and tools to monitor the transmission of dengue to prevent cases before they occur. control, including the application of tools and monitoring their impact. We are exploring investments to define that framework and evaluate it in several different settings in endemic areas. We are also supporting the development of methods to evaluate the impact of vector control tools on multiple vector species that exist in the trial sites. Support other actors to lead global elimination efforts There are three diseases—rabies, trachoma, cysticercosis— for which the goal of our investments is to facilitate uptake and implementation by other actors. We remain passionate about addressing these diseases, but each disease now has highly effective tools and strong leaders in place that have a comparative advantage over the foundation in leading ongoing efforts to achieve elimination. An overview of our final investments for each of the three diseases is featured below. Rabies Eliminating canine rabies through mass dog vaccination programs is a cost-effective strategy to prevent human rabies in endemic countries. Currently, the main barrier is the lack of evidence on the feasibility, impact, and costeffectiveness of this approach compared to the current approach of post-exposure prophylaxis following dog bites. We are currently investing in projects to demonstrate proof-of-concept in three pilot regions in Tanzania, South Africa, and the Philippines. Assuming these pilot projects demonstrate feasibility of the approach, any further investments would be targeted towards collecting the evidence for feasibility and cost-effectiveness of the strategy, ensuring dissemination of the resulting data, and encouraging adoption of the approach among a set of other endemic countries. Trachoma The elimination of trachoma is feasible through the implementation of the WHO-endorsed integrated strategy for trachoma control, which includes surgery for trichiasis, antibiotic therapy, facial cleanliness, and environmental improvement (known by the acronym of SAFE). By applying the SAFE strategy, Ghana, the Islamic Republic of Iran, Morocco, and Oman have eliminated trachoma as a public health problem.10 We have invested in optimizing the current MDA programs for the antibiotic therapy used in SAFE, improving diagnostic and surgical interventions, and developing new guidelines to monitor and confirm trachoma elimination. In parallel, we have invested in strengthening key coordinating bodies that can sustain this work, including Johns Hopkins University, the International Trachoma Initiative, and others, in partnership with Pfizer and national programs. Given the presence of the proven and effective SAFE strategy and the strong capacity and leadership to lead efforts to eliminate trachoma, our investments in trachoma are now transitioning to implementing partners. Cysticercosis/Taeniasis Cysticercosis and taeniasis are caused by the human tapeworm, Taenia solium, and occur worldwide, primarily in poor rural communities in developing countries where pigs are raised, pork is consumed, and poor sanitation allows pigs to access human feces. We funded a demonstration project to eliminate cysticercosis/ taeniasis from the major disease-endemic area in northern Peru, with the aim of developing a model that could be used for disease eradication efforts in other parts of the world. University Peruana Cayetano Heredia, which led the project, demonstrated that the transmission of cysticercosis/ taeniasis could be interrupted through largescale treatment of taeniasis in humans with niclosamide and simultaneous treatment of pigs with oxfendazole and TSOL18 vaccine. This work is currently being scaled up and demonstrated as a part of existing public health programs in surrounding areas in South America. Now that proof of concept has been demonstrated, groups working in global development/animal husbandry programs are best poised to lead the effort toward eliminating cysticercosis/taeniasis. Our partner, Imperial College London, which is leading the Integrated Control of Cysticercosis in sub-Saharan Africa, is now exploring approaches in endemic areas in Africa. Identify opportunities and conduct analysis on potential investments Six diseases—ascaris, trichuris, hookworm, schistosomiasis, buruli ulcer, and Chagas disease—comprise our learning initiatives. These diseases could eventually become strategic program initiatives, but we feel that more research is needed to truly understand the diseases and potential transformational interventions (beyond current investments) that would achieve impact. For each of these diseases, we are making investments to assess potential opportunities and determine whether ongoing or future engagement is warranted for our strategy. CHALLENGES The development of new tools for neglected diseases is challenging for the private sector given the low financial return on investment. Programs for mass drug administration rely on generous drug donations by companies. Asking the private sector to develop a drug that they would ultimately be expected to give away may be a disincentive to some companies. However, the private sector continues to increase their commitments to donation programs and engage in the research and development of new tools. We are hopeful that ongoing partnerships with Drugs for Neglected Disease Initiative, Infectious Disease Research Institute, pharmaceutical companies and others will lead to the development of effective public health tools. grants for a range of diseases. We have learned that it is important to prioritize among diseases and use criteria to clarify the types of investments that we want to make to enhance the likelihood of success. Our investments have largely been focused on the development of new tools and have had limited focus on the delivery of these products to those who need them most. We have broadened our focus beyond product development and are investing in ways to deliver new tools and identify and address challenges of taking innovations to scale. These include supporting efforts to address policy requirements, refine regulations, and develop models for delivery. In the case of Guinea worm and onchocerciasis in the Americas, we have learned that the last mile of eradication is difficult and requires constant vigilance. We have learned that it is important to start in the hardest areas early, be ready to respond to the unexpected, and plan for the substantial resources and political commitment needed to complete the job. THE WAY FORWARD The global community is paying increased attention to neglected infectious diseases. There is progress on the path toward elimination and even eradication of select diseases through the delivery of proven interventions and dedicated partnerships. However, new tools and models are needed to meet elimination and eradication targets. None of our goals can be achieved with our investments alone. For each disease that we are attempting to address, we are dependent on other donors or industry to co-fund or fully fund research and development and maximize the impact of drug donation programs, country governments and other delivery partners to implement programs that achieve impact, and advocates to mobilize commitment and funding. We look to all of these partners to leverage their expertise so that the burden of selected neglected diseases on the world’s poorest people can be reduced. Guided by the belief that every life has equal value, the Bill & Melinda Gates Foundation works to help all people lead healthy, productive lives. In developing countries, it focuses on improving people’s health and giving them the chance to lift themselves out of hunger and extreme poverty. In the United States, it seeks to ensure that all people—especially those with the fewest resources—have access to the opportunities they need to succeed in school and life. Based in Seattle, Washington, the foundation is led by CEO Jeff Raikes and Co-chair William H. Gates Sr., under the direction of Bill and Melinda Gates and Warren Buffett. For additional information on the Bill & Melinda Gates Foundation, please visit our website: www.gatesfoundation.org. © 2012 Bill & Melinda Gates Foundation. All Rights Reserved. Bill & Melinda Gates Foundation is a registered trademark in the United States and other countries.